Are you looking for a one of a kind baby name sign for your Woodland Nursery Decor? 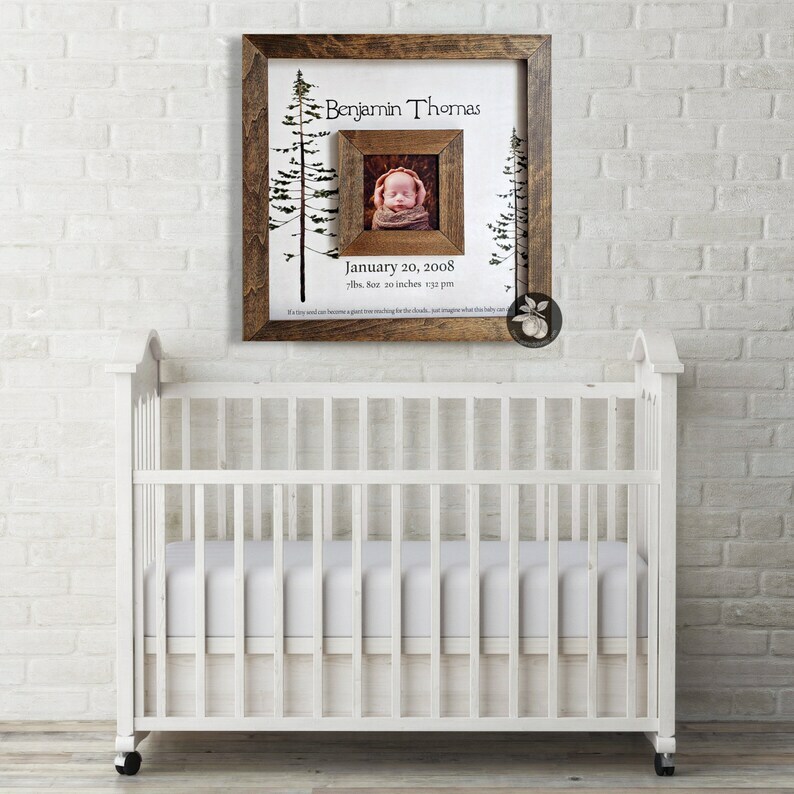 Our sweet picture frame with the baby's name and birth announcement stats would be a great addition to your little one's nursery. On the listing pictured we used our "dark walnut" stain. Feel free to change the overall size or the color to match your home or nursery decor when checking out. Also a great gift idea for a baby shower or a new mom! "If a tiny seed can become a giant tree reaching for the clouds... just imagine what this baby can do."